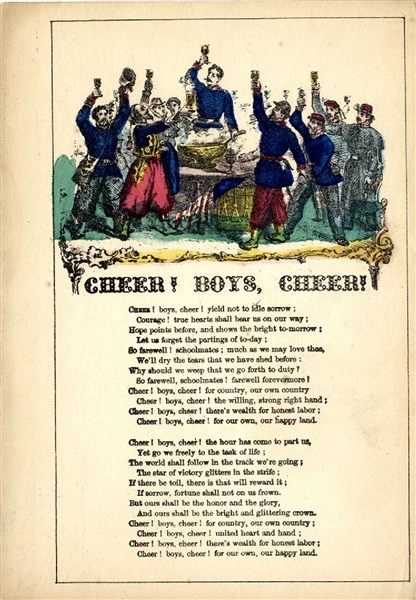 Hand-colored songsheet “CHEER! BOYS, CHEER!” 1pp. octavo, with image of a zouave and several other soldiers toasting as they are off to war. Fine condition.